Arrive in Nairobi, where you are met and transferred to your hotel located in the peaceful suburb of Karen. Once a rough outpost amid a highland swamp when it was established as the colonial capital of British East Africa in 1907, Nairobi today is the urban heartbeat of independent Kenya and one of Africa’s most important cities. Nairobi has long been a meeting point for adventurers and travelers from all over the world, and most Kenya safaris still originate here. 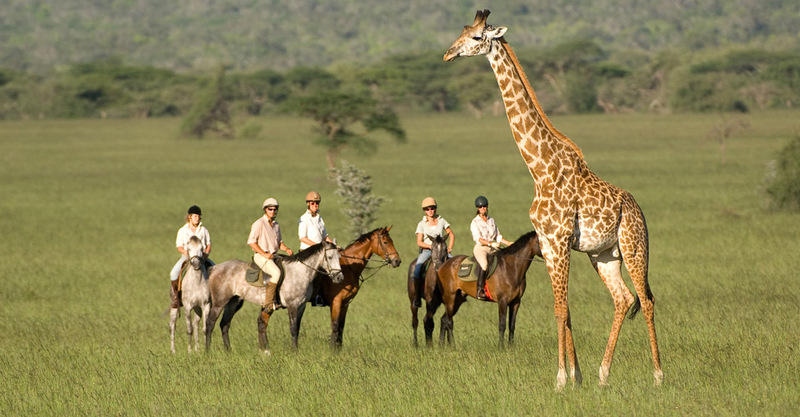 Nairobi offers many sightseeing options, including the national museum, the historic home of Karen Blixen, author of Out of Africa, the Daphne Sheldrick elephant orphanage, local crafts centers, and a chance to feed Rothschild giraffes at the Giraffe Center. Transfer this morning to Nairobi's domestic Wilson Airport for your flight to the Kitirwa Conservancy and Tortilis Camp, a small luxury tented camp on the edge of Amboseli National Park. Amboseli is known for its elephants, and to see these African icons against the backdrop of snow-topped Mount Kilimanjaro offers a timeless image of one of the continent's most famous scenes. This mosaic of dusty plains and swampy springs is also home to buffalo, wildebeest, zebra, impala, hyena, lion, leopard, cheetah and a third of Kenya’s nearly 1,100 bird species. The nearby black lava Chyulu Hills are a photogenic region of ancient craters, rolling grasslands and aromatic cedar forest. Enjoy wildlife drives in open 4x4 vehicles and exclusive walks inside the private Kitirwa Conservancy. Fly back to Wilson Airport this morning for your onward flight to Kenya's Laikipia region, an area renowned for its groundbreaking private conservancies that are global conservation leaders. Your destination is famed Lewa Wildlife Conservancy and Lewa Safari Camp, a small luxury tented camp founded in 1924 and run by the same family still today. The camp enjoys a stunning location within the 65,000-acre Lewa Conservancy, with views of Mount Kenya’s snowy summit in one direction and wildlife-rich lowlands in the other. Lewa Conservancy offers a firsthand experience of crucially important wildlife conservation work. A pacesetter for bringing back endangered species, this private refuge has become the leading role model for sustainable conservation in East Africa. It has played an instrumental role in returning black and white rhinoceros from the brink of extinction, and its mixed habitat is also a sanctuary for rare endemic species found only in the north of Kenya such as Grevy's zebra, sitatunga, gerenuk, reticulated giraffe and Beisa oryx. The Big Five—lion, leopard, elephant, rhino and Cape buffalo—thrive here alongside cheetah, wildebeest, hartebeest, hippo, hyena, colobus monkey and wild dog. 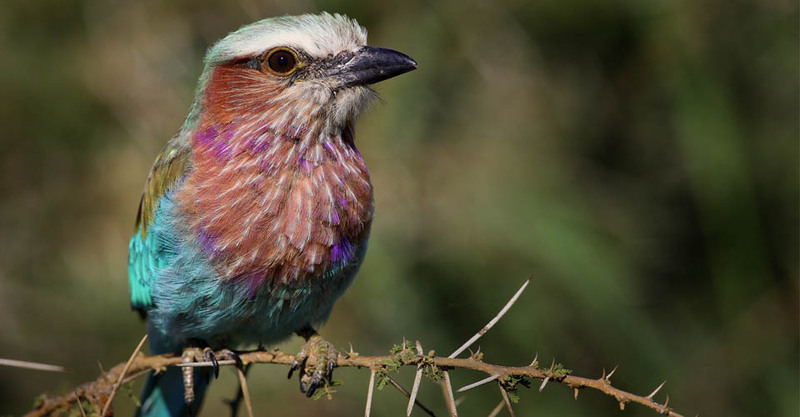 Lewa is home to more than 400 bird species, including Somali ostrich, kori bustard and lilac-breasted roller. 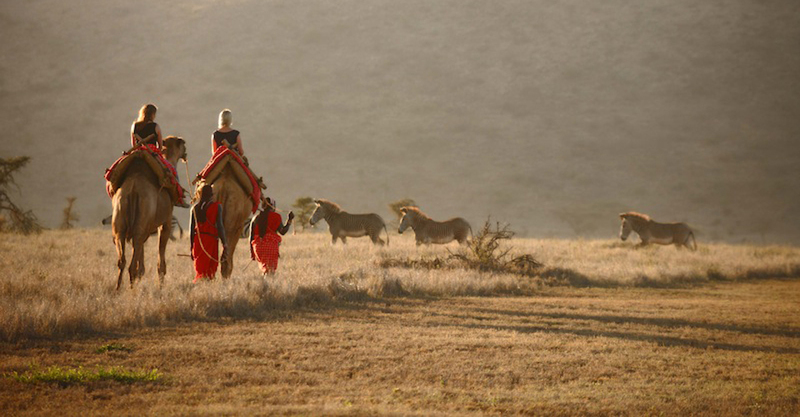 Camp activities include walking safaris and day and night wildlife drives in 4x4 vehicles, as well as optional scenic flights in an open-cockpit biplane, cultural visits to the village of Il Ngwesi, excursions to the Ngare Ndare forest, and horseback riding on the reserve. All optional activities can be arranged and purchased on arrival at the lodge. Depart by light aircraft this morning for the Greater Maasai Mara ecosystem. Transfer by road to Naboisho Camp within the private Naboisho Conservancy, a 50,000-acre wildlife corridor directly bordering the Maasai Mara National Reserve to the northeast. 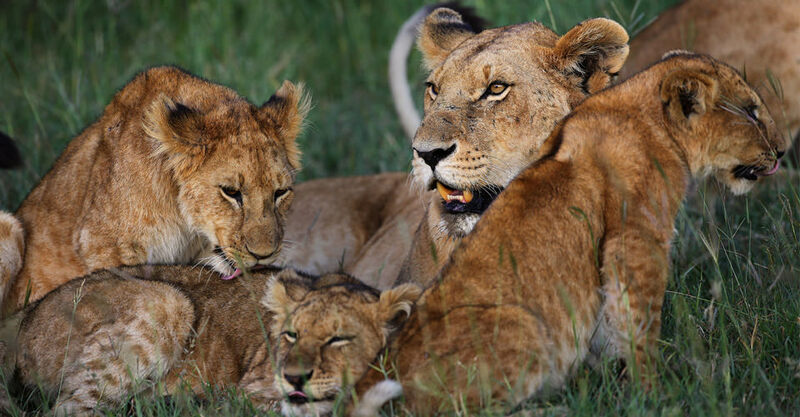 The conservancy boasts a rich diversity of wildlife and birds—resident predators include roughly a hundred lions living in the area, encompassing the largest lion pride in the Greater Maasai Mara with some 20 individuals. Abundant herds of elephant, giraffe, wildebeest and zebra also thrive here. Night drives offer a chance to observe nocturnal wildlife, an opportunity not available within the public reserve. Cultural interactions with the Maasai, traditional pastoral herders who have grazed cattle in East Africa for centuries, are also a highlight of your stay at Naboisho. Meet community members and learn about their customs on visits to a nearby village, school and/or market. With a limited number of camps and vehicles within the Naboisho Conservancy, you will never experience tourist crowds here. 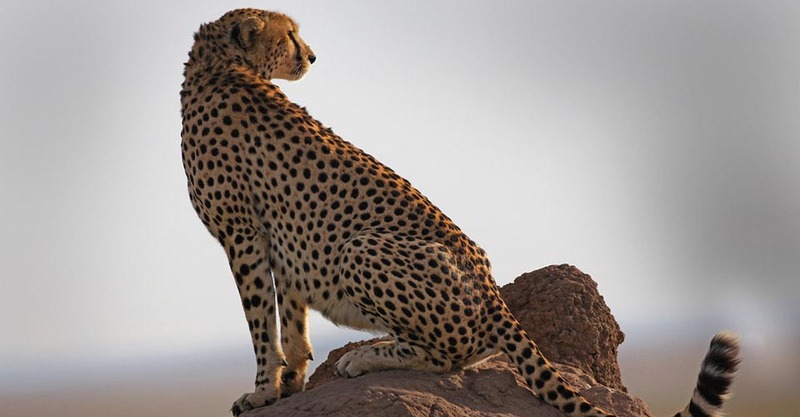 You will have the option to enter the Maasai Mara National Reserve as well, where you'll have a chance to find the Big Five, enjoy excellent cheetah viewing on the open savanna, and witness plentiful herds of plains game. During the migration season, you may traverse into the Maasai Mara to watch for wildebeest and zebra herds as they attempt to cross the crocodile-filled Mara River. Your Kenya Africa safari comes to a close today as you fly back to Nairobi. On arrival, you are transferred to a nearby hotel where a day room awaits. Since most international flights depart late at night, there’s time to relax before your departure to the airport, or inquire about optional activities such as a visit to the David Sheldrick elephant orphanage or Giraffe Center. I’d like to share Natural Habitat Adventures’ The Best of Kenya—Custom Safari... You might be interested! You can also request Nat Hab's Catalog of the World's Greatest Nature Journeys for more information about the company's worldwide adventures.